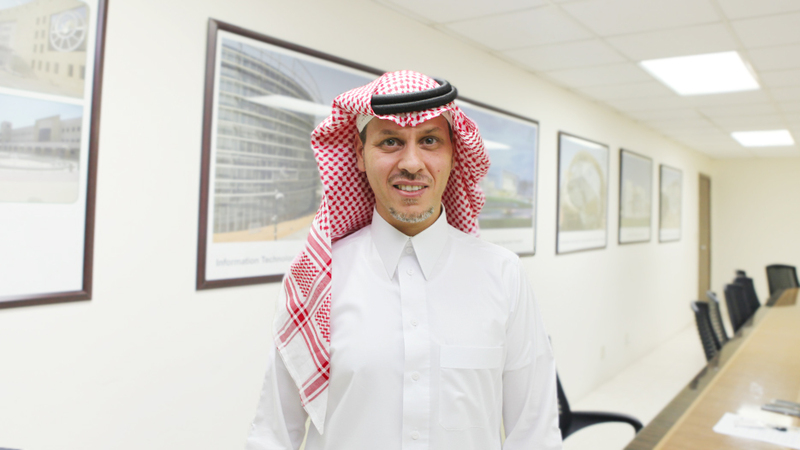 Fakher A. Al-Shawaf is General Manager of Al Bawani. 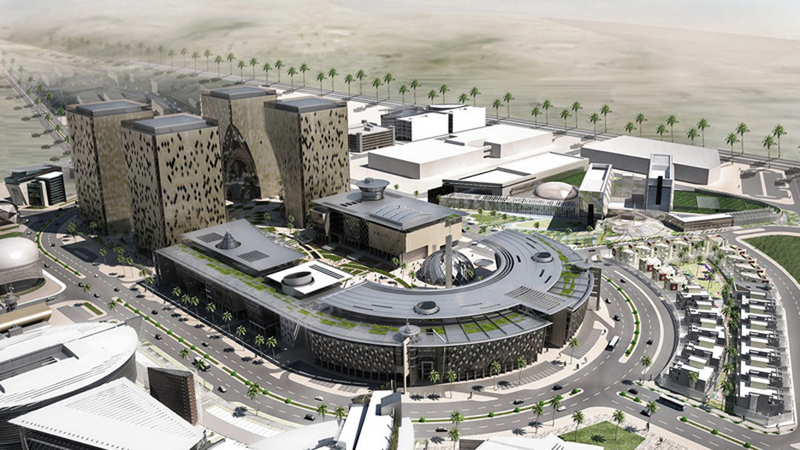 The value of projects planned or underway in the Kingdom increased by 90% in April 2014. The projects under construction are estimated to be worth USD 727 billion. A recent report issued by NCB, however, described a decrease of 25% in total value of the awarded contracts. What, in your opinion, is happening in the market? In 1997, it took two years for the Saudi economy to recover from the lowered oil price. Afterwards, between 2000 and 2008, Saudi Arabia went off on a wave, mid-wave, of growth. The construction sector expanded horizontally. In 2008, the whole world was affected by the economic meltdown, but Saudi Arabia was quick to recover. From 2010 to 2014, there was a boom on the backdrop of higher government spending. During this period, the construction sector grew vertically; the spending amounted to nearly SAR 200 billion. These are mere economic cycles. There must be corrections and growth. The cyclical downturn purifies the economy of inefficiencies, helps sustain healthier growth. Currently, most of the infrastructure projects in the government have been completed. The average completion rate hovers around 70%. Following this overspending, construction is now stabilizing, albeit with more horizontal growth. Saudi Arabia has set a state budget for 2015 with total revenues projected to reach $190.7 billion (SR715 billion) and total spending valued at $229.3 billion (SR860 billion) which is expected to result in a $38.6 billion (SR145 billion) deficit. Budget revenues for 2014 are projected at $278.9 billion (SR1.046 trillion), leading to an estimated deficit of $14.4 billion (SR54 billion). Education and healthcare remain the priority of the Kingdom’s budget, representing 44 percent of total spending. 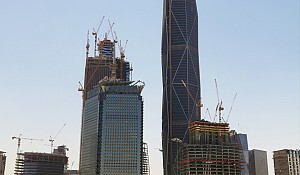 What is the outlook for the construction sector in Saudi Arabia? The construction sector will not be continuing with the same momentum. The bulk of the infrastructure has already been built. When I graduated from King Saud University, there were just seven universities in Saudi Arabia. Now there are 38. In a very short time, we have seen a massive expansion in the government sector. Thousands of schools have been built in the last four years. While the construction sector will not grow at the same pace, we expect horizontal growth in the health and education sector. 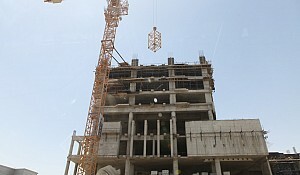 For example, Al Bawani is constructing a major project for the Ministry of Education. Furthermore, the company is expected to be awarded tender for two mega healthcare projects set for the beginning of 2016, one in the north and one in the south. Together, those projects are worth about SAR 10.3 billion. As of 2013, there are nearly 115,000 registered contractors in the KSA, which is a staggering number. Of those, 2,000 have valid, certified classifications. How is Al Bawani fending off the competition? Every company has its own knowhow, experience, skills, management, plans, etc. Al Bawani started 27 years ago. Since its inception, the strategy was to focus on high-end, defense, healthcare, and datacenter projects. 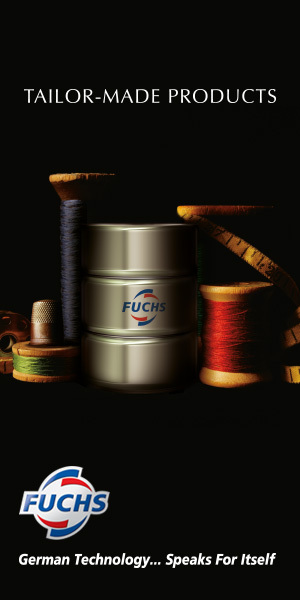 Throughout the years, the company has developed a unique knowledge set. We've got the international partnerships, and the necessary experience to be the clear leader in specific construction projects. Al Bawani also constructs commercial housing projects, but it is still more focused on the professional high-end projects. The KSA is one of the most expensive places to build houses, so an average price for one meter squared is $1,580 (as opposed to $1,360 in Dubai). It is obviously expensive to build properties here. Does that affect the profit margin? In our opinion, the construction costs in Saudi Arabia are the lowest in the GCC. Al Bawani works in the UAE and other countries, and understands the expense structure well. The transportation, labor cost, and material costs are the cheapest in the region. The challenges are there in every type of business. Challenges never stop in any kind of business but in construction there are challenges because the sector is rather dependent on outside factors. If you have the expertise, you can withstand the ups and downs. Do you feel that there is a lack of good, high-quality contractors on the market? 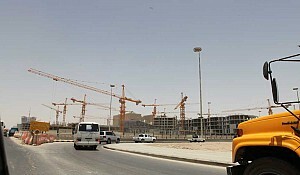 There is a lack of qualified contractors in Saudi Arabia, especially in the high-end projects sector. While there are many companies registered, very few of them are actually working on the ground at that level. What makes distinguishes a gifted contractor from an ordinary one? Working for big clients requires an enormous effort and know-how. The standards are extremely stringent. These critical factors separate Al Bawani from other contractors. It is always the details-- and especially using the correct construction procedures-- that are key to success. You are slowly preparing for 2016 as pertains to your strategic goals given the market and the spending. How do you see 2016? What is your strategy? The outlook for the construction sector remains optimistic. While there is a lot of competition, from our discussions with the governmental officials, we find it probable that the future years will be positive for the construction sector. For example, Al Bawani is in negotiation for a SAR 20 billion, which involves government and semi-government entities. Where do you think there will be a lot of growth when it comes to construction: healthcare, mixed use, education, hospitality and leisure, cultural projects, residential ones, commercial projects, infrastructure projects? It depends on the demand. The company is working on one of the largest semi-governmental programs. Al Bawani is being awarded more projects every month, as there is a need for more schools, hospitals, and other facilities. Healthcare is one of the areas of higher growth. There are two massive medical cities in preparation. The Ministry of Interior is also planning its own projects. Can you talk about your most iconic projects, or the projects you are most proud of? The strategy is to develop our experience by training our team to meet the best international standards. Transfer of knowledge is very important. 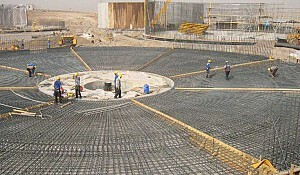 Al Bawani has done many extremely complex projects. 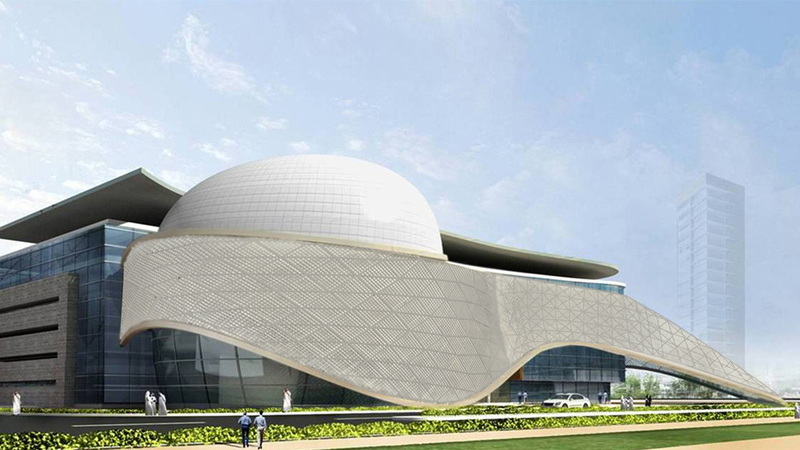 One in particular is the Information and Technology Complex in Riyadh, which is fifteen parcels and is a high-tech project including data centers. 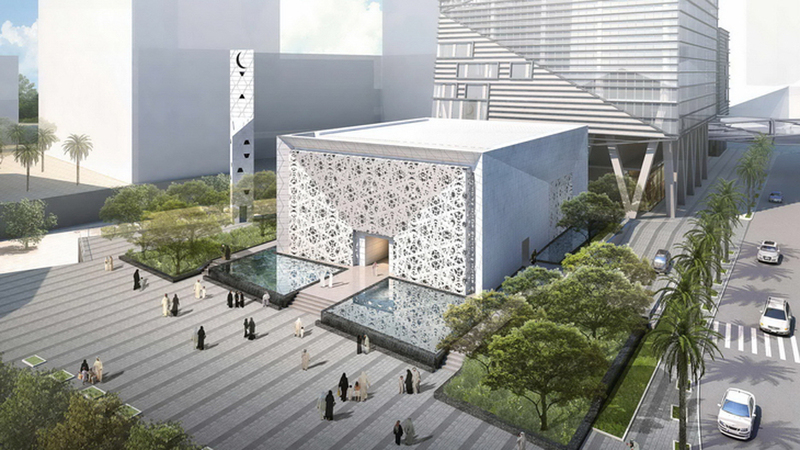 There are a few projects in the King Abdullah Financial City like the Financial Plaza and the King Abdullah Grand Mosque. Al Bawani is currently constructing the Science Museum, which is one of the most advanced technology museums in the world. Work is also underway for the Ministry of Foreign Affairs on a very beautiful, unique project for the academic institutes. The company is going to consolidate the Arabsat headquarters in the diplomatic quarters in Riyadh. Reputation is key in these markets. The company focuses mainly on quality. What is the total value of your projects under construction? How many people do you employ at the moment? The market needs to be restructured in the construction field. A lot of companies have been growing faster than normal. You cannot raise the columns before you lay the foundation. The construction sector will be restructured in the coming two years. The construction sector is connected to the economy because of the volume of business. Al Bawani is experiencing normal growth. 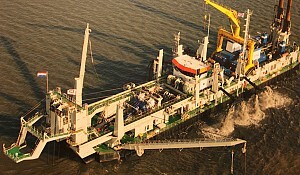 During the past 27 years, the company has built many projects. Our projects under construction are worth SAR 1 billion. The contribution of the construction sector to GDP increased from 4.3% in 2011 to 4.8% in 2013. Do you see this trend continuing? In some way, but not with the same figures. The construction sector will not outgrow the previous year. In terms of public and private sector spending, do you see more private sector construction activity happening in 2016 as opposed to the public sector? The private sector will be active. The new whitelands tax will encourage private investors to start constructing new projects. Regarding affordable housing, there is a lack of affordable housing (priced between half a million and 800,000 Saudi riyals) to the tune of one to three million housing units. Do you see a lot of activity taking off in this sector now that you have a new Ministry of Housing? What do you see on the horizon as pertaining to affordable housing? Housing is a long story. The demand will be there for the coming years until Saudi Arabia finds a real solution for affordable housing. The company is strategizing and preparing for the affordable housing boom. Al Bawani is doing a lot of research in terms of how to reach the right equations for the government. The government recognizes the problem and is doing its best to resolve the issue. Building half a million new houses requires huge efforts and cannot be done in a short period. The local contractors cannot carry out all of that business. Housing will remain an attractive business for contractors who know what the right approach could be. Al Bawani is negotiating with two clients for larger housing projects. There is a lot of construction activity so there is a sizable need for cement and steel. Many people are now coming up with factories, and Saudi Arabia is one of the largest producers of steel. Is it difficult to source the raw materials for construction? The pricing is a challenge. Contractors are depending on the local and international market for market for construction materials as well as for all of the minerals such as copper, steel or for rebars. Due to the situation in the international market for commodities, there has been a 15% reduction in the construction costs. Lower energy prices coupled with lower raw materials prices lift off pressure on the margins. How do you see the margins developing for contractors? The competition will intensify as more contractors vie for fewer projects. The construction market opened up to many local and foreign contractors. 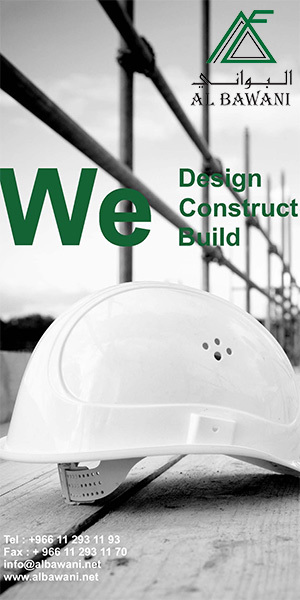 The reduced costs of shipping, customs, raw materials, and final products will support the construction industry. Reducing the cost of materials supports our industry and balances out the increased competition somewhat. Do you know the average margins that the industry is experiencing? In general, the contractors’ margins should be between 7 to 15%. Those figures take into account the specialities of the job and the risk contingency, and it depends on the type of project, for example: ports, high rise buildings, healthcare, etc. The variance in overhead must be taken into account, but in general, a 10% margin for the contractor is fair. Do you have any international ambitions? Construction is a business so if you have the knowledge and the skills, you can compete all over the world. The company has offices in UAE and London. Al Bawani has been involved in some of the largest developments in London. The strategy is to grow organically and study the market before entering. The market in Saudi Arabia is still attractive against the backdrop of planned governmental projects. The metro project for Riyadh is worth SAR 82 billion. In the future, project priorities will be key.